Charles Booth was one of those remarkable English Victorians who can justly be described as one of the great and the good. Profoundly concerned by contemporary social problems, and not a pious nor even a religious man, he recognised the limitations of philanthropy and conditional charity in addressing the poverty which scarred British society. Without any commission other than his own he devised, organised, and funded one of the most comprehensive and scientific social surveys of London life that had then been undertaken. Booth also added his voice to the cause of state old age pensions as a practical instrument of social policy to alleviate destitution in old age, established as one of the commonest causes of pauperism. Simultaneously he was a successful businessman, running international interests in the leather industry and a steam shipping line. 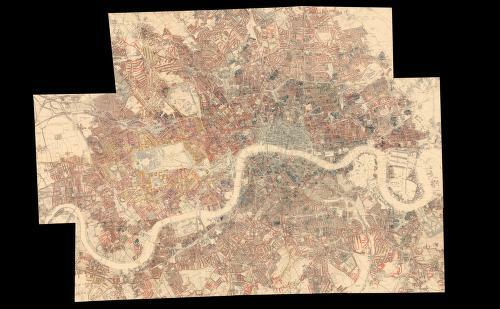 One of Booth's greatest acheivements was the survey into London life and labour and the maps he created. 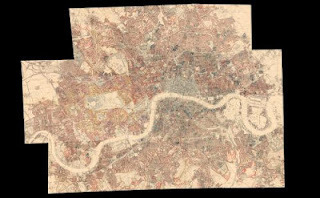 These maps were of London coloured street by street to indicate the levels of poverty and wealth. They show a fascinating insight into London life in the late 1800s. They also form the basis of a recent BBC television show The Secret History of Our Streets - a six-parter, with each episode telling the social history of a particular London street. As an example, click here to see the map of where I now live.